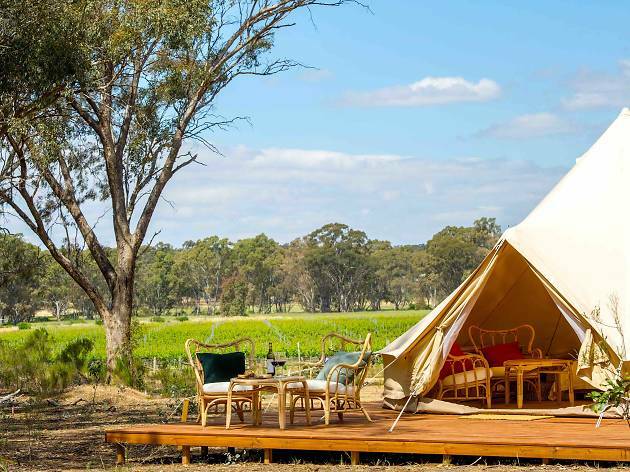 Balgownie Estate is recognised as one of Australia's premium vineyards, with a number of accommodation options available for those looking for a weekend away in the vines. The Homestead includes seven luxe suites to stay in, which are both contemporary and stylish. 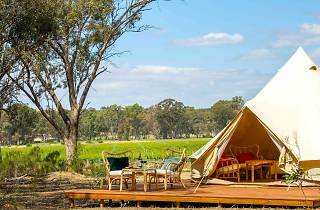 Outside there are 15 permanent glamping tents to try as well, which have you planted right at the edge of the vineyard.